ORLANDO — HL7’s FHIR (Fast Healthcare Interoperability Resources) is largely seen as an enabler of health data exchange, which of course it is, but executives at IBM, Google and Microsoft said it will also lay the foundation for artificial intelligence and machine learning. 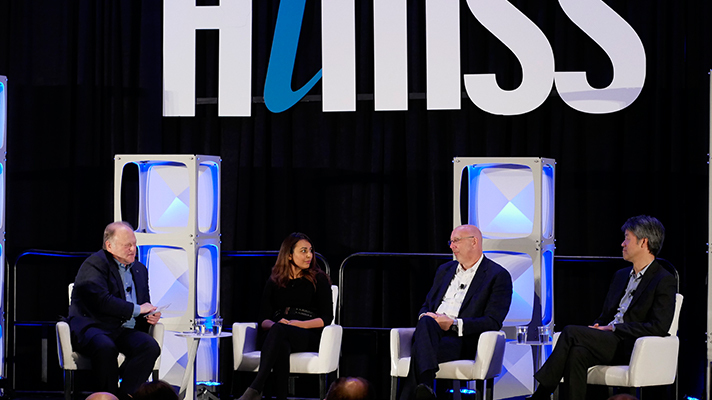 “Interoperability is the cornerstone of our healthcare strategy — teaching cloud to speak the language of healthcare: HL7, FHIR, DICOM,” said Aashima Gupta, global head of healthcare and life sciences at Google Cloud, during a panel discussion here at HIMSS19 on Thursday. Google, in addition to IBM, Microsoft, Oracle and Salesforce, signed a pledge to remove interoperability barriers back in August 2018 during the Blue Button 2.0 hackathon at the White House. And while the companies have yet to provide specific details they said it will involve cloud computing, FHIR and open APIs. As that interoperability advances and healthcare systems begin sharing those volumes of data more regularly, it sets the stage for many of today’s biggest trends, including population health, personalized medicine, and emerging technologies such as artificial intelligence and machine learning. The broader goal is not just making data available to PhD’s and data scientists but to build tools that democratize AI, which requires interoperable data as a foundational element.